« Spinfest down, more events to come!!!! We gave some blood now bottles up! Sadly, Shtinky wasn’t allowed to give blood because she had been out of the country in the past 12 months. The doctor who greeted us at the door did not believe Brenna when she said that she went to Djibouti and Bahrain. He laughed in her face then told all of his doctor/nurse friends about this “so-called place.” He then proceeded to look it up by misspelling it with a g-as in Gibouti. Hahaha. 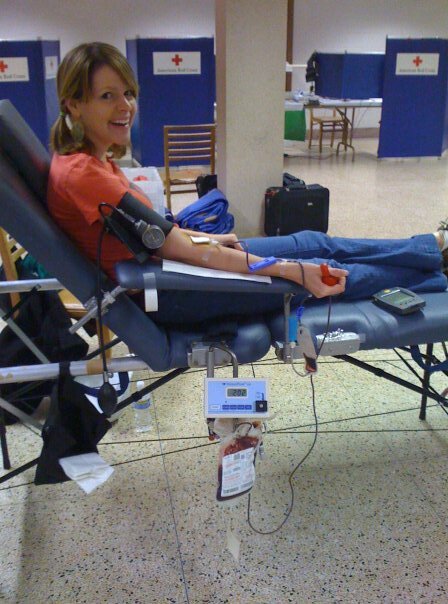 After that debacle was over I was finally able to donate my pint of blood. A pint is a lot. Check out the hot pictures from our blood givin photo shoot. It really was a…Sunday…blooooody Sunday! Potassium – helps to prevent brittle teeth, hair loss, and runny noses. Malic Acid – gives ACV the properties of being anti-viral, anti-bacterial & anti-fungal. Helps with joint pain and stiffness. Raw organic apple cider vinegar is even good for pets! It can help control fleas and can make your pet have a healthy, shinier coat. ouuuuch. that. hurts. meow. 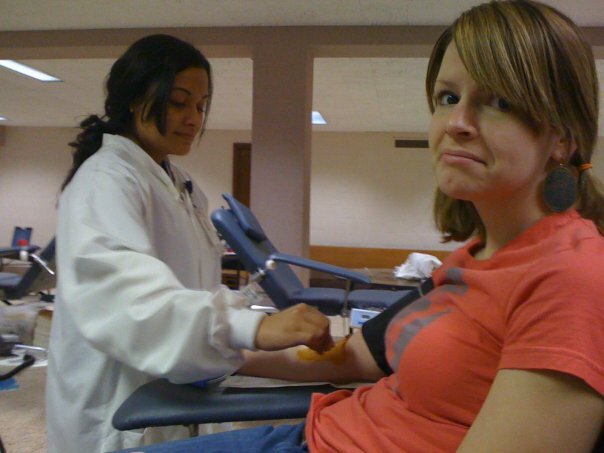 you look really good giving blood! seriously.